Bad Soil? Vandalism? No space? Stinky compost bin worries? After this workshop you may be surprised by your ability to garden almost anywhere and solve some common problems! By being a little more prepared for the unexpected and learning some tricks, your garden can thrive. Take home some great design ideas and potted seeds to get your garden growing -even inside during the winter! This workshop is open to any and all questions about gardening in challenging places- both indoors and out, public or private. Lots of Q&A time and some hands-on experience to get your garden growing. Open to beginners and to more experienced gardeners with a focus on designing for tough places and sharing ideas for getting your garden started on the right foot next year! Question and answer period ongoing throughout workshop, all gardening questions welcome! For participants: If available please bring photos of your site that we can look at on the computer or as pictures. Comfortable clothing that can get a little dusty, gloves if desired. 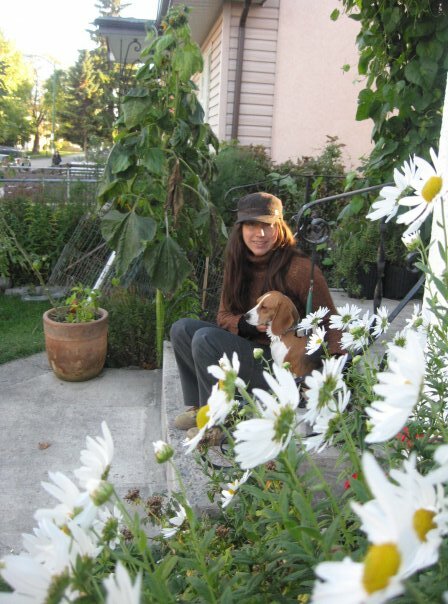 Kathryn Mackenzie is a Prairie Horticulturist in Landscape Design, Permaculture Designer, long time community gardener and organizer, Master Composter. Kathryn presented at the last Nature Summit and the participants said their only complaint was that they wished the workshop was longer! This entry was posted in Blog, Events, Gardening With Children, Summit 2012, Workshops and tagged Garden Problem Solving, gardening with children, Kathryn Mackenzie, nature summit. Bookmark the permalink.